So...my Release 3 now identifies as a plus bike. It's not my place to question it so I'll just roll with it. WTB Vigilantes...2.8 up front, 2.6 out back. Plenty of room on the rear. Fork was replaced with a 29/27.5+ Pike. Can't wait to give it a try. I didn't think that the Release series could run anything bigger than like 2.4 - 2.5" in the rear? Do you have any photos of the clearance in the rear triangle? Also, how are you liking the Vigilantes? I'm trying to decide between a 2.5 or 2.6 to replace my 2.3in DHF once it wears out. Haven't rode them yet. Just arrived in the mail today and I installed them on the wheels and checked for fit in the frame. The bike was actually just a frame and I had to swap everything back over from my Torrent to re-build the Release. I'm hoping to get a ride on it next week for forecast isn't looking good. As far as clearance...there's plenty. I tried my 2.8 WTB Ranger first and there was maybe 1/8" clearance. Rideable but no clearance for mud or debris. So I ordered the Vigilante...2.8 front and 2.6 rear. I haven't measured them but I'm thinking they aren't quite true to size. Definitely bigger than the stock 2.3's though. They are mounted on i35 rims also. There's actually a little more room that the pic shows. Enough that I feel comfortable with mud clearance. Last edited by Nubster; 6 Days Ago at 11:48 PM. Awesome, looks like it should be a fun ride. Curious what you end up thinking about it . I've only very briefly rode a Release 3 (5-10 min in a parking lot), but it seemed to pedal really well, and I think it should be a really fun bike for you. The plus and "near plus" tires on it should give it gobs of grip . Also, just so you know, I had a thread in Wheels/tires forum about the Vigilante a month or two ago. Most people seemed to say that they were pretty darn true to size, but sometimes took a bit to "stretch" out to the correct size. Most people were saying this happened after leaving them with high PSI (40-60psi) overnight or so like you'd do with a recent tubeless install. So I'll admit that I'm curious if yours will "grow" a bit. I say that, because I ride a '18 Kona Process 153 29'er. Its got room for a 2.3 - 2.4 in the back, and I'm curious how true to size the WTB tires are. Mayyyybe I can fit in a 2.4 Trail boss if I'm lucky. Anyway, congrats on the new build . As far as clearance...there's plenty. I tried my 2.8 Trailboss first and there was maybe 1/8" clearance. Rideable but no clearance for mud or debris. So I ordered the Vigilante...2.8 front and 2.6 rear. I haven't measured them but I'm thinking they aren't quite true to size. Definitely bigger than the stock 2.3's though. They are mounted on i35 rims also. There's actually a little more room that the pic shows. Enough that I feel comfortable with mud clearance. I have the same tire but with a 2.6 in front and 2.5 out back. Best tire out there IMO. They have already bailed me out a few times after coming in hot to a corner. Did you go with the tough/fast rolling in the back? Good to know. They didn't end up holding air well but I didn't add sealant. I'll do that tomorrow and hit them up with some psi and see what happens. Far as the bike...yeah...it's great. 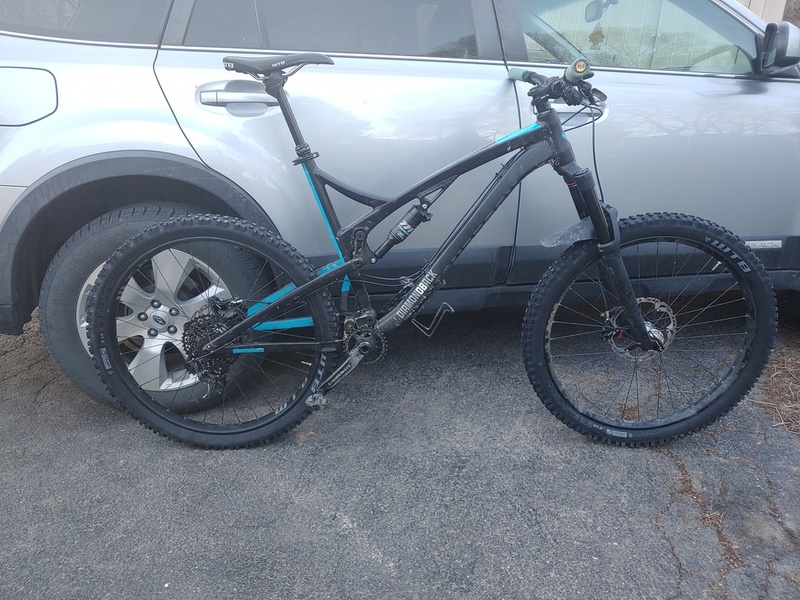 I rode it a bit as a regular 27.5 but decided I wanted a plus bike so I grabbed the Torrent frame and swapped all the stuff from the Release over to it except the fork. Sold that and bought the 29/27+ fork. It's an RC rather than the stock RCT3 but I never found myself using the extra adjustment on the RCT3 so I went with the RC instead since it was cheaper. Generally the tires will stretch a bit, so I'm very curious about this as well. While I could "fit" a 2.5 Vigilante in my 5C alu rear triangle, I didn't find the limited clearance enough for my tastes. Guess I'm a bit more conservative with my clearance than others. FYI on the NEW WTB Trail Boss 2.4 Tritec, it measures at 2.3 respectively. Here are measurement and clearance photos. Love to see a pic looking down at tire in swingarm. Seriously though...I can measure to see exactly how much room I do have but I'm pretty comfortable with the amount of space I have. A good muddy ride will confirm or change that and with the rain in the forecast tonight and tomorrow and most of next week...I should be able to put it to the test soon. I'll see if I can get a better angle for a pic. Or possibly your new tire hasn't stretched yet, if it does at all. I'd be curious to see measurements if you have calipers. The Trail Boss I have still measures 2.3. It's good to see others posting about this, like I mentioned I'm very conservative about clearance, so this may be more helpful for others who aren't so concerned as I. Thanks. Yeah...with i35 rims that probably helps spreading the tire out rather than making it taller like it would be with the stock i28 rims that came on the bike. I know that it was literally just a few mm of space with the Trailboss 2.8 on the rear. Definitely a no go. I don't have calibers but maybe next time I'm in town I'll pick up a cheap set at HF or something. There are other threads here on MTBR (below) that talk about the TB 2.6, everyone thus far have reported it to be true to size, unlike the 2.4. Only one ride in so far but everything worked great. Mostly dry conditions but I did encounter some mud. No clearance issues at all. Tires performed extremely well except for that one off camber root I hit just after running through a small mud hole...ended up washing out the front-end and took a little OTB flight into a small sapling. Bloody knee and bruised ego but come out otherwise unscathed. Other than that...no complaints. I think the setup is a keeper for sure. Might grab a Trailboss 2.4 or 2.6 to try on the rear at some point. Need to measure the Vigilante rear to get the true size so I know what I can actually fit back there. That's amazing. 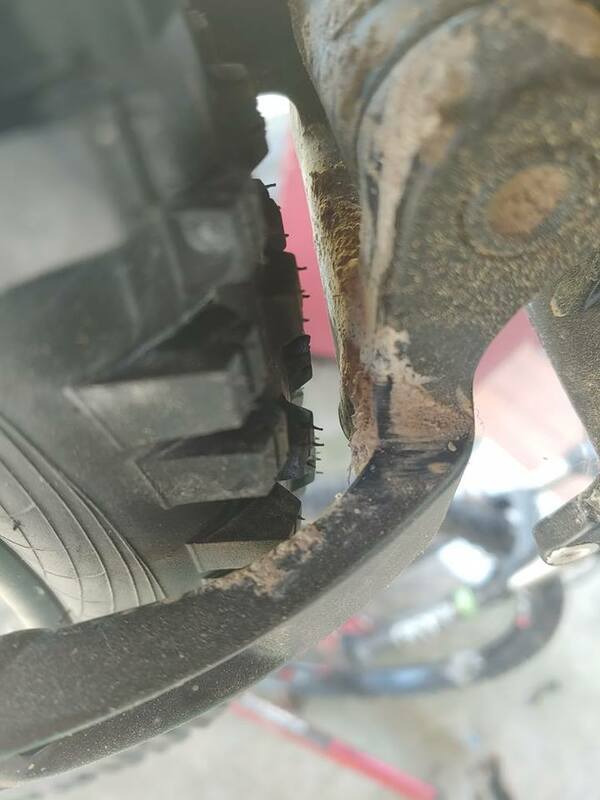 I tried Maxxis DHR2 and Rekon on the back of my Release and they both rubbed the swingarm once they got dirty and I did any kind of turning. Keep a close eye on it. FYI the Trail Boss 2.4 measures at 2.3 on an internal 30mm rim. The 2.6 Trail Boss is true to size, it might fit depending on your opinion of what "fit" means. If you fit a 2.6 Vigilante in the back I suspect the 2.6 TB would be fine. Glad to hear it's working for you, please keep us posted on how things continue to go. How difficult to transition from Shimano multi release to single release? Maxxis's release of Minion 27.5+ 3.0 tire release???? ?